Once thought to be an inevitable consequence of aging, we now know that cataracts have several interrelated causes. Although commonly found in those over age 60, cataract formation normally takes years to develop and may begin as early as age 40. Statistics show that by age 80 more than half of all Americans will either have cataracts or will have undergone surgery to remove them. While controversy continues over whether cataract growth can be prevented or slowed, there is general agreement that oxidative stress may be one factor behind cataract development. Family history, diabetes, smoking, previous eye injury and prolonged unprotected exposure to ultraviolet sunlight increase the risk of cataract development. While cataracts are small and developing, there is little effect on vision. As cataracts worsen, common symptoms such as cloudy or blurred vision, sensitivity to light or glare, double vision, color fading, frequent eyeglass or contact prescription changes, or difficult night vision may occur. While cataracts negatively affect vision, they generally don’t cause damage to the eyes as some eye diseases do. In early stages, brighter lighting, prescription eyeglasses, and anti-glare sunglasses may help to improve vision. Eventually, when vision changes interfere with everyday life, a surgical procedure to remove the clouded lens and replace it with a new plastic lens is commonly performed. As we age, the cumulative impact of oxidant stress and protein degradation distorts the delicate eye lenses. A factor in the development of age-related cataracts is protein misfolding or clumping. These deformed proteins, which become opaque and unable to transmit light, accumulate within the clear lens of the eye. Protein misfolding results from nonezymatic glycation, in which sugars become chemically bound to amino acids, proteins, and other essential biomolecules, distorting their structure. 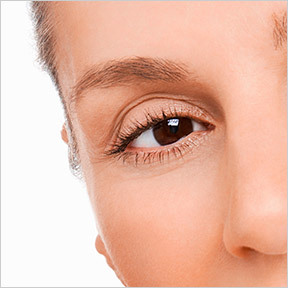 Glycation is one of the underlying causes of cataract formation. The process of glycation, along with oxidative stress, mitochondrial dysfunction, and DNA damage, hastens the aging process in all cells, tissues and organs. New Studies. Researchers have been investigating carnosine and N-acetyl carnosine in relation to cataract development and visual performance in cataract affected eyes. A non-essential combination of two amino acids, anti-aging carnosine is highly concentrated in the brain and heart, as well as muscle and nerve cells. Carnosine has been shown to have a protective effect against neurodegeneration, cardiovascular disease and cognitive decline. As an antiglycation agent and oxidative stress reducer, carnosine has been shown in human, animal and laboratory studies to help reduce glycated lens proteins, prevent the loss of lens protective enzymes, and to delay clouding of the lens. Researchers from National Institute of Health have shown that N-acetyl-carnosine 1% eye drops demonstrated high efficacy and good tolerability for prevention and treatment of visual impairment for the older population. Other studies demonstrated improvement in overall light transmission, glare sensitivity, and visual sharpness. Have regular eye exams. As with many chronic or age-related diseases, prevention is the best strategy. Many serious eye diseases have no early warning signs, so it’s important to make regular eye exams part of a standard health care routine. The National Institutes of Health (NIH) recommends an initial dilated eye exam at age forty and annual dilated eye exams beginning at age 60. Quit smoking. To reduce the risk of developing cataracts, give up smoking. Smoking contributes to a number of health conditions including heart disease, stroke and lung cancer, and can lead to macular degeneration, glaucoma, dry eye syndrome, cataract formation, and blindness. Maintaining optimal vision health and eyesight requires adequate nutrition. Certain nutrients are particularly beneficial to eye health. A diet high in antioxidant-rich nutrients and omega-3 essential fatty acids is good for heart, brain and eye health. Green leafy vegetables, such as kale and spinach, provide lutein and zeaxanthin, two nutrients found in healthy eyes that are believed to protect against macular degeneration and cataracts. Studies suggest that omega-3 rich cold-water fish, such as salmon and sardines, may reduce the risk of developing eye disease later in life. Zinc, found in legumes, beans, red meat and oysters is an essential trace mineral found in high concentration in the eyes. Zinc may help protect the eyes from the damaging effects of sunlight, as well as macular degeneration. Vitamin C is an antioxidant critical to eye health. Science has shown that the eyes need relatively high amounts of vitamin C for proper function. Including antioxidant rich fruits and vegetables in your daily diet may help to prevent or delay cataracts and macular degeneration. Orange-colored fruits and vegetables, such as carrots, sweet potatoes, and cantaloupe, provide beta-carotene, a nutrient that assists night vision. Selenium, a component of antioxidant glutathione, may help to protect the lens and prevent age-related cataracts. Together with zinc, selenium may help protect against glaucoma, which can lead to optic nerve damage and blindness. Selenium is found in brazil nuts, tuna, and wheat germ. Maintain healthy blood sugar. Diabetic eye disease comprises diabetic retinopathy, macular edema, glaucoma and cataracts, all of which have the potential to cause vision loss and blindness. Controlling or reversing diabetes with prescribed medications, physical activity, maintaining a healthy weight and eating a proper diet can help to prevent or delay vision loss. It’s imperative that those with diabetes have regular eye exams, as early detection can greatly reduce the risk of vision loss. Wear sunglasses. Proper eyewear can help to protect your eyes from glare and sun damage. Exposure to UVA and UVB ultraviolet light can hasten the formation of cataracts even in younger people. A wide brimmed hat can further protect the eyes when spending time outdoors in any season. L-Carnosine 500 by Maximum International: One capsule provides 500 mg of L-carnosine, the dosage recommended in scientific studies to support cellular rejuvenation, as well as brain, vision and muscle health. Manufactured in the USA in an FDA inspected facility. Brite Eyes III by Life Extension®: ON SALE! These FDA approved sterile eye drops alleviate eye discomfort with clinically validated lubricants. This formula also contains the antioxidant N-acetyl-carnosine shown to help protect against glycation. Ultra Anti-Oxidant by Douglas Laboratories®: This potent antioxidant supplement provides antioxidant vitamins, beta carotene, zinc, selenium and N-acetyl-cysteine in support of free radical and oxidative stress protection. Gluten, wheat, soy, dairy, sugar and artificial ingredient free formulation. Macular Support Formula by Pure Encapsulations: This comprehensive hypoallergenic formula provides lutein, zeaxanthin, proanthocyanidins, amino acids, glutathione, mixed carotenoids, N-acetyl-cysteine, and vitamin C to provide exceptional free radical protection in retinal tissues. Gluten and soy free, Non-GMO vegetarian formulation. Macula Eye Pellets by Natural Ophthalmics: This professional strength homeopathic formula provides ingredients to gently stimulate and help the eye counteract macular degeneration. This entry was posted in Home and tagged Brite Eyes III by Life Extension, Cataracts and Vision Health, Have regular eye exams, L-Carnosine 500 by Maximum International, Macula Eye Pellets by Natural Ophthalmics, Macular Support Formula by Pure Encapsulations, Maintain healthy blood sugar, Quit smoking, Ultra Anti-Oxidant by Douglas Laboratories, Wear sunglasses. Bookmark the permalink.